Police are appealing for information about a robbery, reported by The Isle of Thanet News yesterday (December 30) where two masked men broke into a Ramsgate property. The pair, one said to have been brandishing a knife, smashed their way through the front door of the Artillery Road property which consists of flats, at 9.37pmon Saturday (December 29). Children were inside one of the flats at the time of the incident. Officers are now able to confirm that items including cash, alcohol and manicure supplies were reported stolen. One man is described as a white man, wearing a white hooded jacket with black zip detailing, black bottoms and a ski mask and was believed to be carrying a knife. 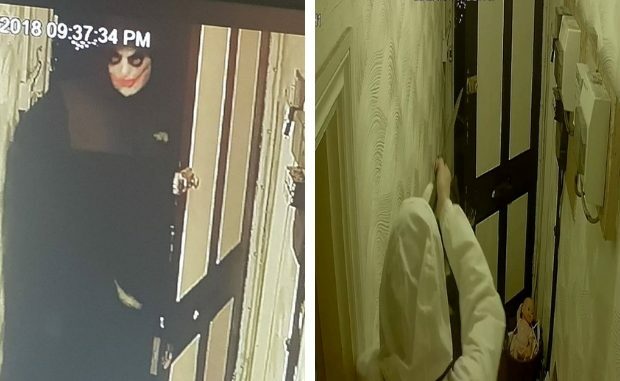 The second man is described as wearing a jacket with either a light grey or green top half and a darker colour lower half, black combat trousers, black trainers and wearing a costume mask. Officers are appealing for anyone with information to call Kent Police on 01843 222289 quoting 46/33677/18.